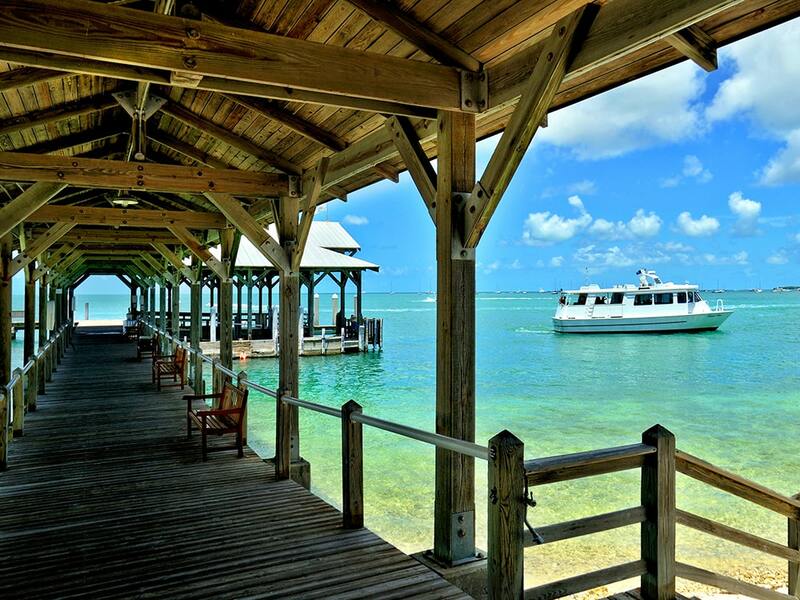 Welcome to a little piece of hidden paradise you never knew existed. 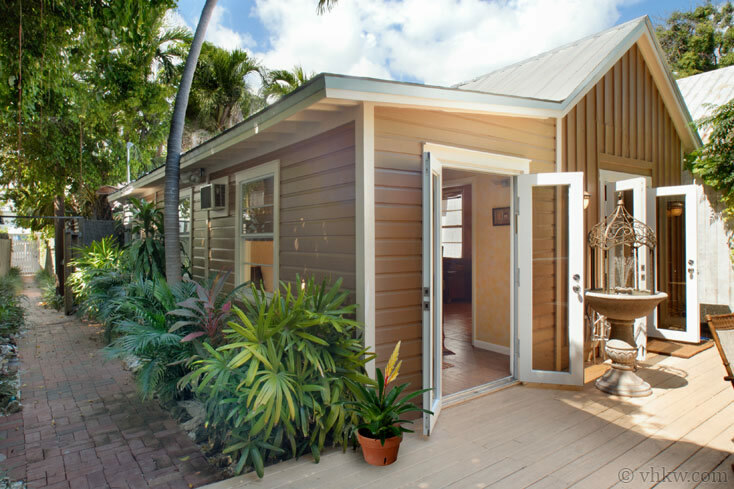 Once you're nestled into this Secret Courtyard Cottage hideaway, you'll never know you're right in the center of Old Town Key West. 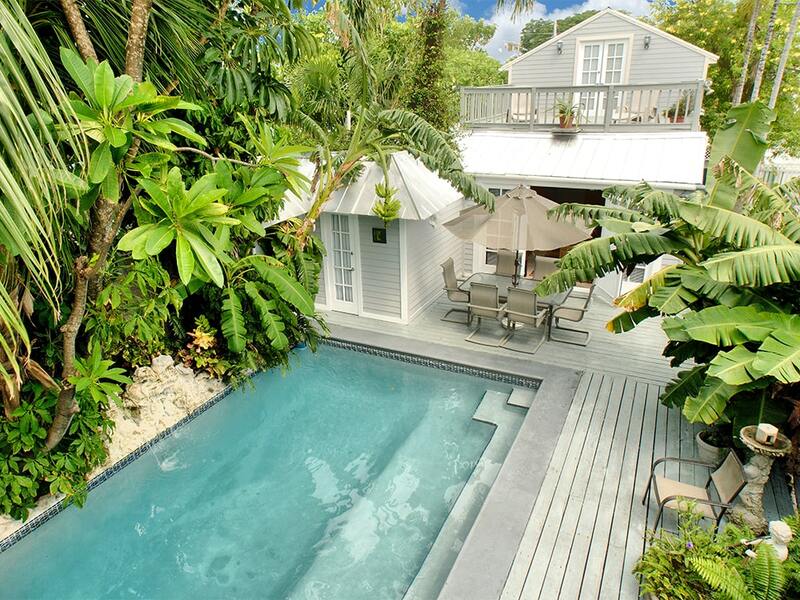 Situated at the end of a little walking lane, this charming cottage, with private Jacuzi, is made completely private with tall wooden fences and tropical landscaping. 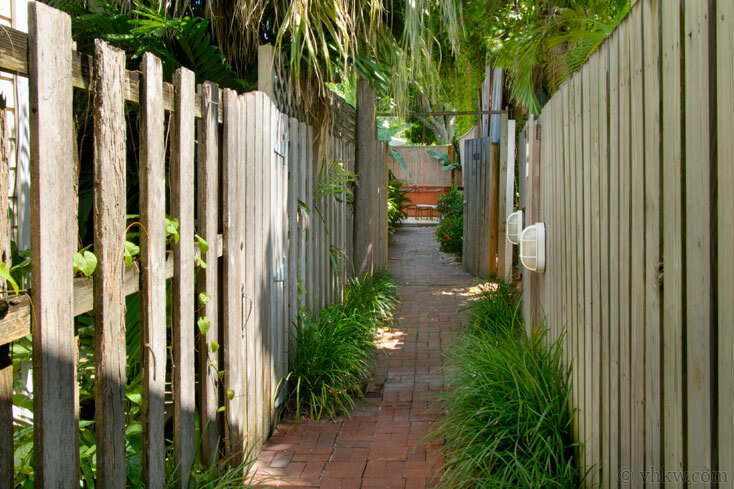 Your own private courtyard has bricked pathways, a very spacious wooden deck, complete with large Jacuzzi spa, an out-door dining table, and plenty of deck space (with lounge chairs) to soak up the sun. 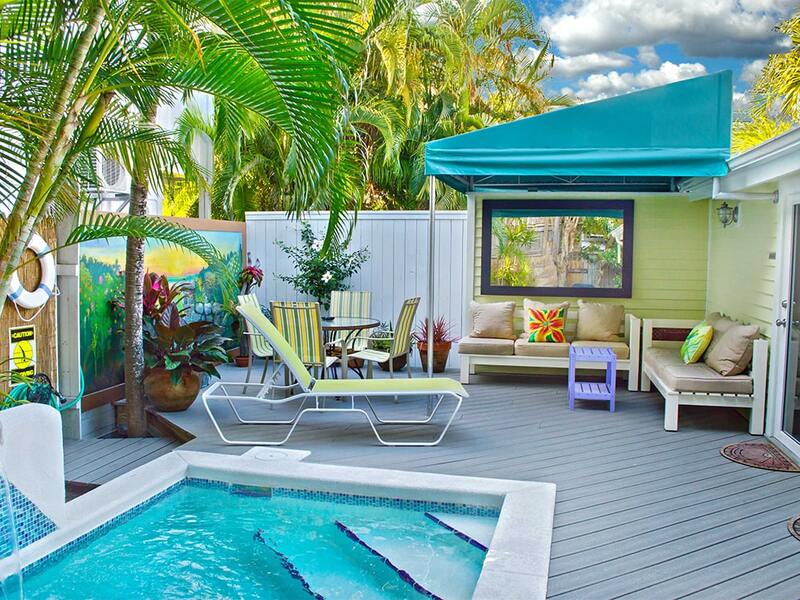 Secret Courtyard Cottage vacation rental has all the elements for a wonderful vacation. 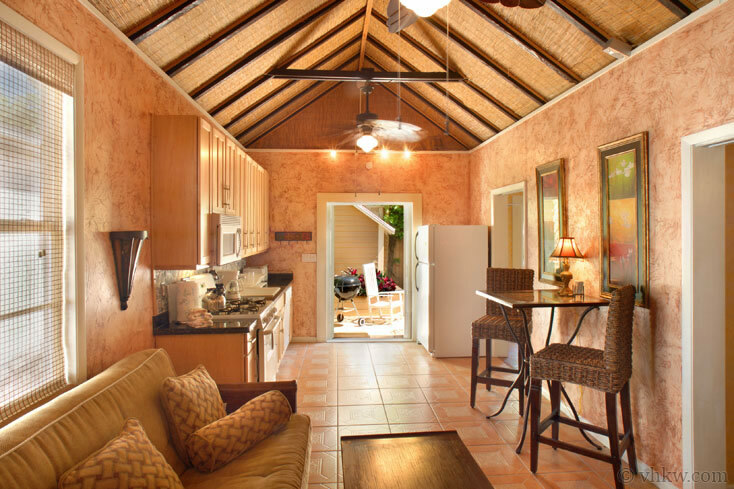 Whether you are looking for a private getaway spot to relax with a central base to explore local sites and activities, or the perfect location for a romantic get-away, this paradise will be home away from home. 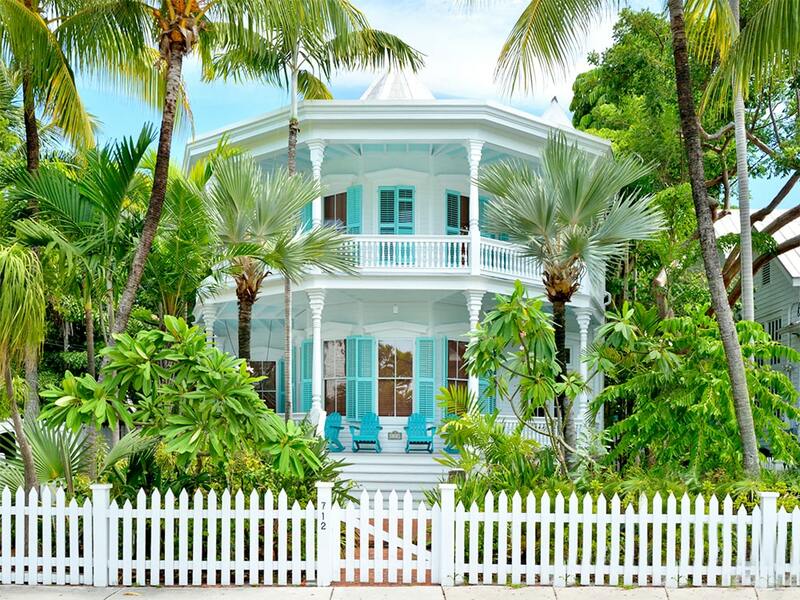 So close your eyes for a few moments, and imagine the island paradise of Key West and this precious little cottage just waiting for you. 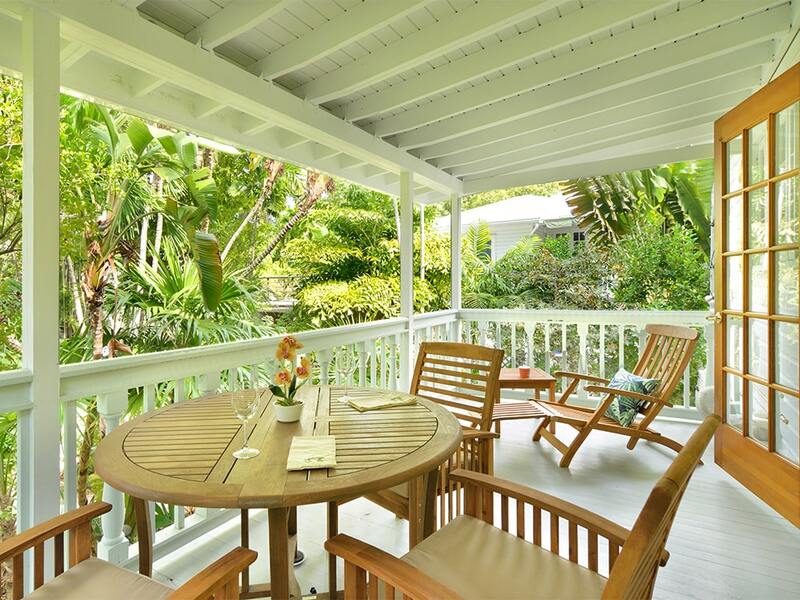 Recently renovated, this small historic cottage was originally built in the early 1900's as a cigar maker's house. To meet modern standards, it was doubled in size to create the two bedrooms while reserving the original board and baton part of the structure for an open living room, dining, and kitchen area. French doors at the end of the kitchen carry the indoor living space to the spacious outdoor that is now set up as a spacious outside living area. The interior make-over opened up the ceiling to expose the wooden beams, and added luxurious extras including granite counter tops, new tile and wood flooring, and ambient lighting. 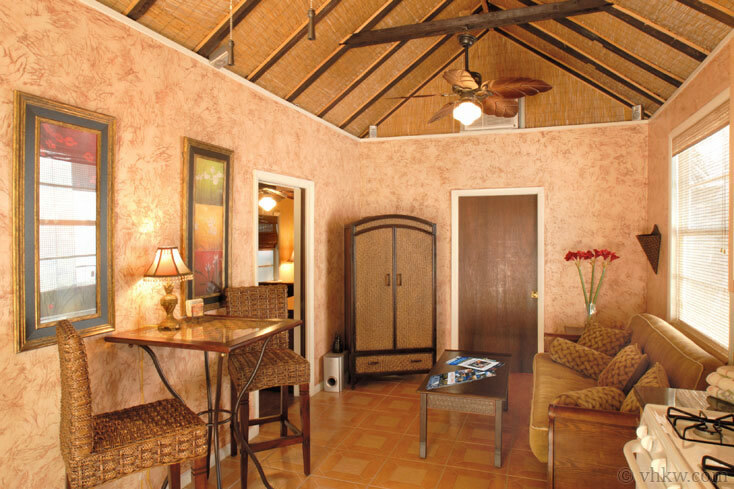 The updated decor draws from traditional Caribbean design with the use of wood and wicker furniture. Walls are decoratively painted with delicious colors of mango and papaya. 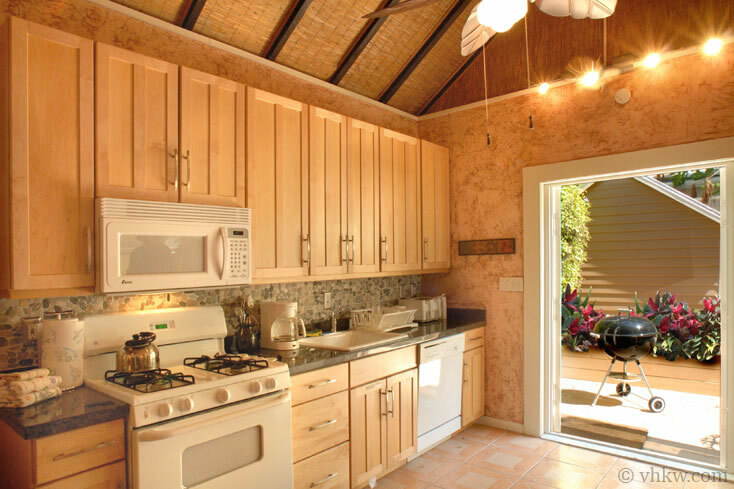 Open beam ceilings are made to feel tropical with bamboo reed lining. 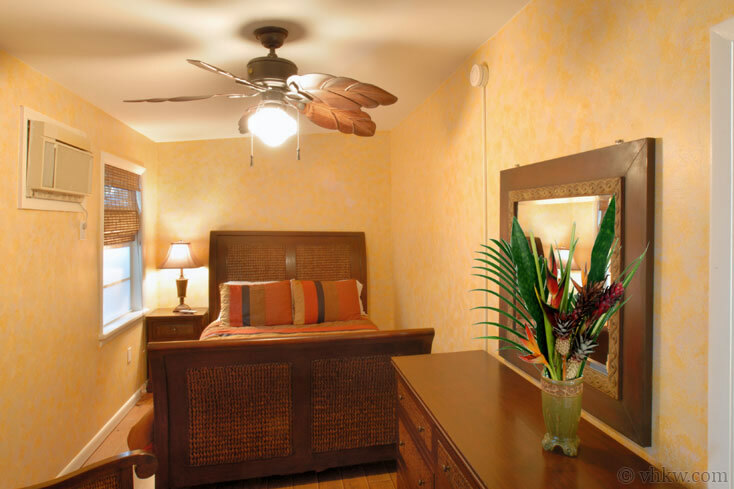 Exotic ceiling fans with leaf shaped blades carved from mahogany top it off to create a real island paradise feel. The layout of this cottage is as functional as it is charming. The master bedroom is toward the back of the cottage. It is roomy and has a queen size bed, large closet and chest of drawers. The second bedroom also has a queen size bed. 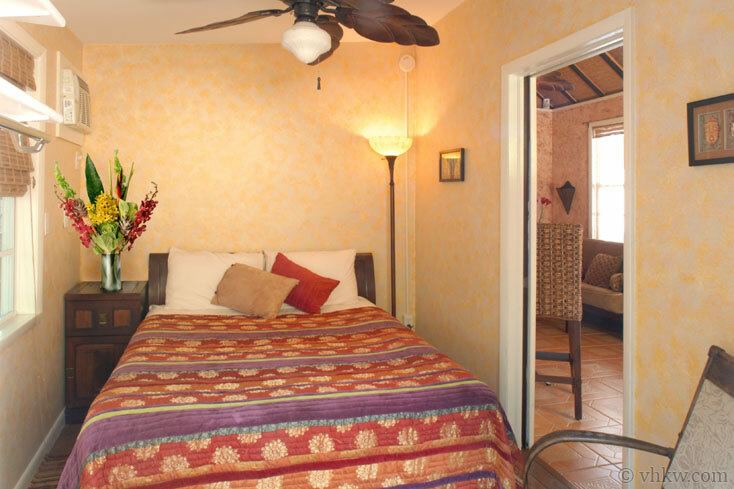 While the second bedroom is cozier, it offers an added tropical ambience with French doors leading to the deck for easy access to the Jacuzzi. The living room is handsomely furnished, and the sofa makes into a full size sleeper futon. The kitchen is equipped with all the basics to eat in if you decide to. This cottage is ideal for one or two couples, and a perfect get away for a single. It can sleep five if you don't mind getting cozy. It also works well for a family with one or two children. 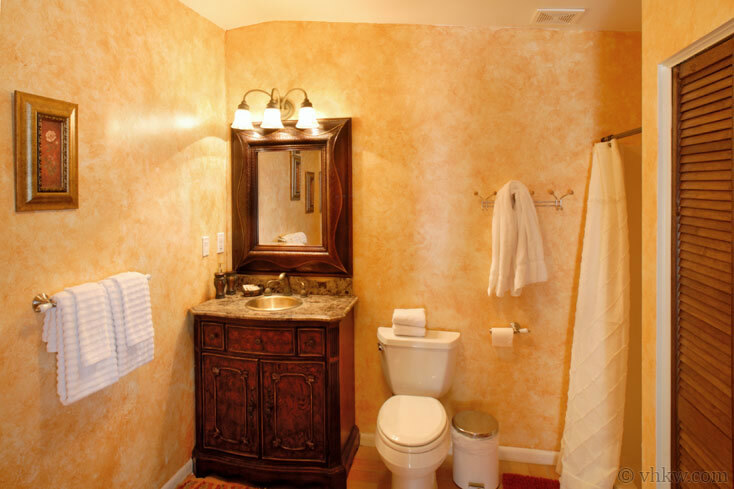 Amenities: Private Jacuzzi, decked and bricked courtyard, fully fenced and private yard, equipped kitchen. A/C, washer / dryer, color cable TV, C/D player and stereo. Linens and towels are provided. 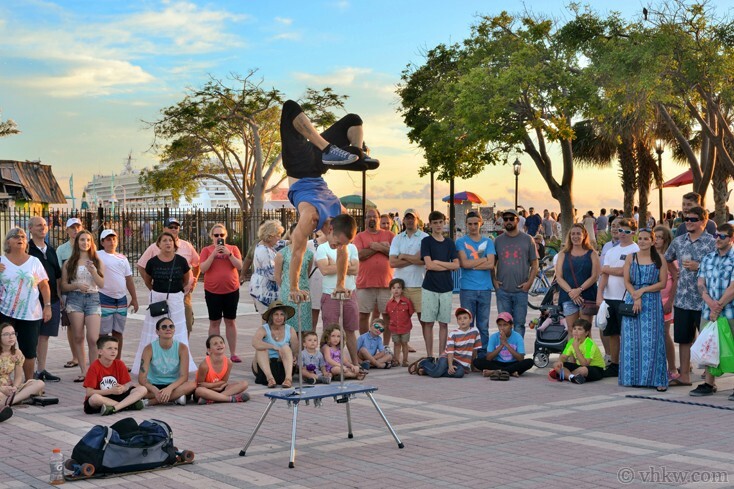 Activities: Duval Street is a block away. Shopping, restaurants, night life, museums, sailing, boating, snorkeling, diving, beach, theatre, family activities. Everything is within walking distance. Leave your car at home. 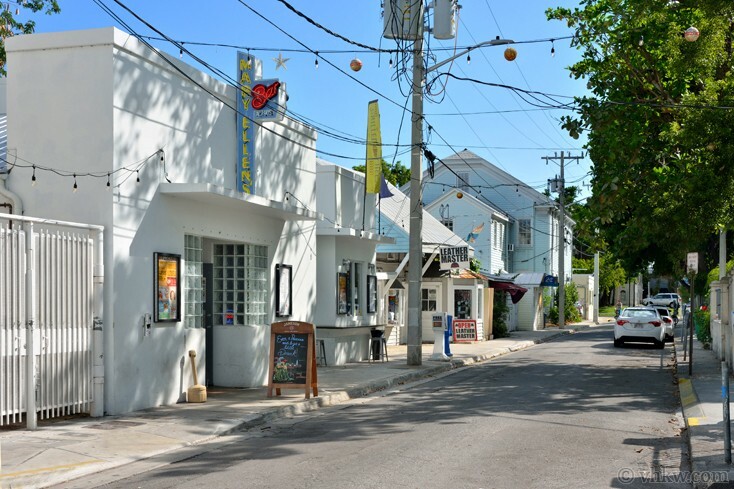 Area: Right in the 'Heart of Old Town' so you can quickly walk to all Old Town Key West features. 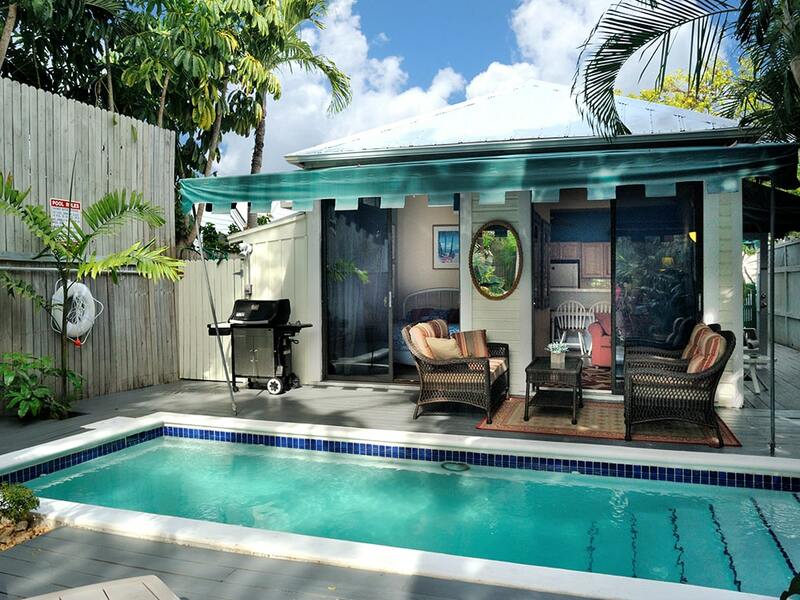 Located on a fashionable narrow residential street just one street from Duval Street. 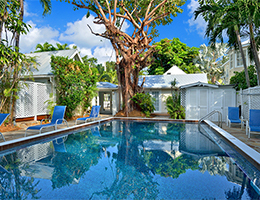 Close to a diverse variety of shopping,entertainment, restaurants, bars, historic churches,Hemingway House Museum, Light House Museum, Custom House Museum, Key West Aquarium, Ship Wreck Museum. Just around the corners off either side of Duval Street you find an impressive array of historic Victorian and cottage style residences. 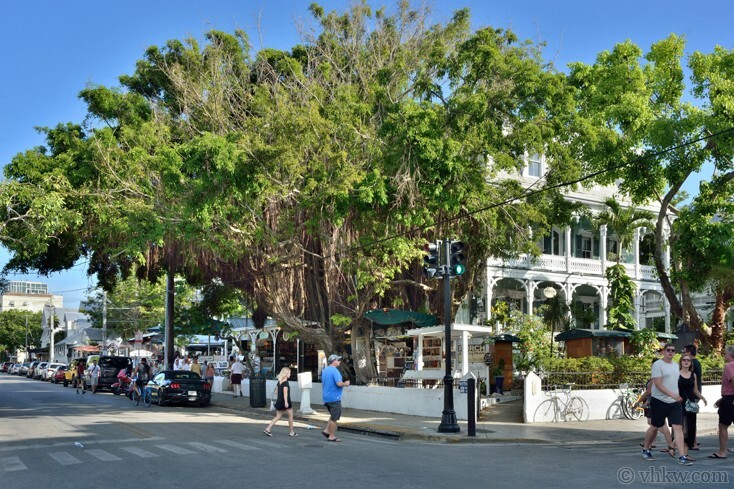 From this area you can walk to the Mallory Square Sunset Celebration and the Key West Historic Seaport Harbor Walk in 10 to 15 minutes. Parking: Fortunately staying in this location you really never need to get in your car. Enjoy walking or biking everywhere? You'll see more that way. 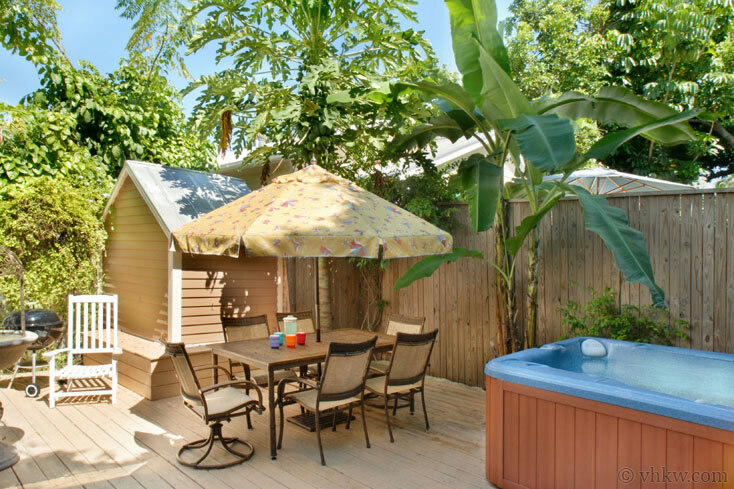 Enjoy the island to the fullest, and then come home to relax in the Jacuzzi and have BBQ on the deck. 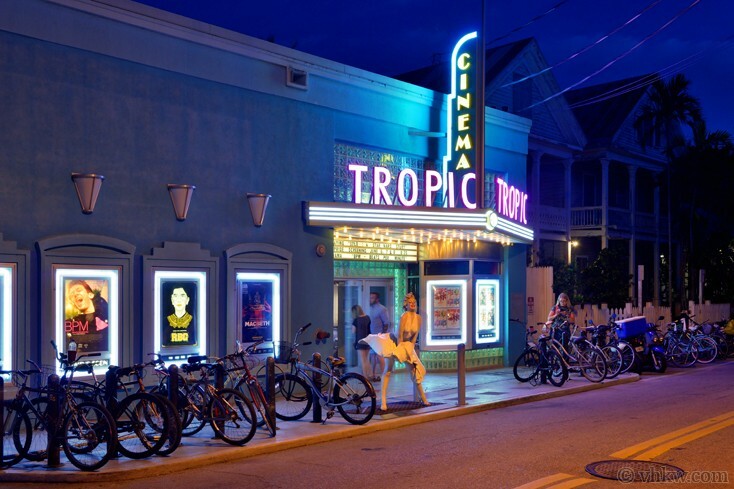 If you drive your car into Key West, we recommend you park it in the city parking lot on the corner of Grinnell and Caroline streets. Restrictions: Smoke Free House. Smoking permitted outside only. We do not accept guests less than 25 years of age unless accompanied by a family group or guardian. Apr 20, 2019 - May 26, 2019 $2025 $400 4 night min. or 3 night min. 60 days prior to arrival. May 27, 2019 - Jun 14, 2019 $1750 $375 4 night min. or 3 night min. 60 days prior to arrival. Aug 9, 2019 - Oct 19, 2019 $1750 $375 4 night min. or 3 night min. 60 days prior to arrival. Oct 27, 2019 - Nov 3, 2019 $1750 $375 4 night min. or 3 night min. 60 days prior to arrival. 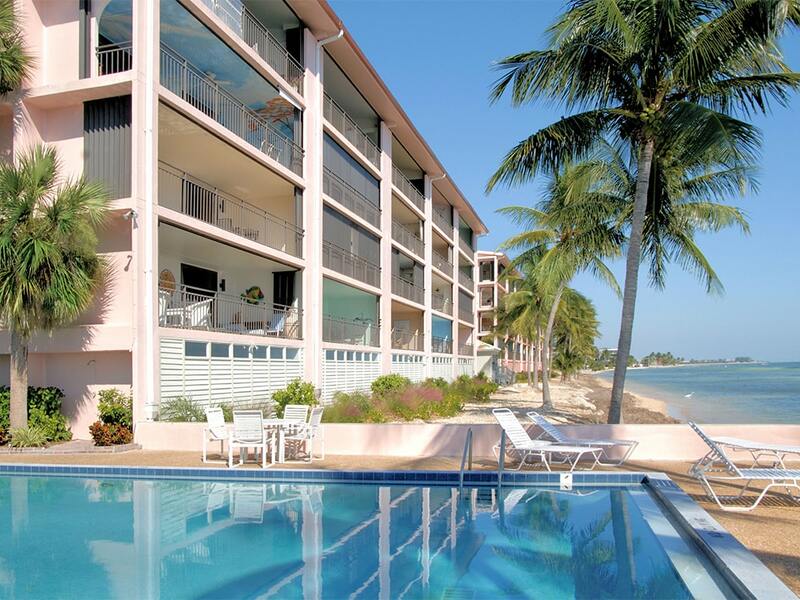 Nov 11, 2019 - Nov 22, 2019 $1750 $375 4 night min. or 3 night min. 60 days prior to arrival. Nov 30, 2019 - Dec 20, 2019 $1525 $375 4 night min. or 3 night min. 60 days prior to arrival. The Secret Cottage was perfect!! The location could not have been any better and the Cottage itself was great. It was clean, well appointed and had everything you could ask for. We will be back next year and hope we are lucky enough to be able to stay here again. The check-in process was seamless. The location of the house was prefect! Check in was the smoothest ever! The house it self was great! We absolutely loved this house! VHKW delivered for us again. Great company to rent from!